Welcome and Thanks for visiting Buckshot Retrievers home on the web. Our entire training program is geared toward Waterfowl Hunting Retrievers. We have infused our field trial basics program and real life hunting experience to create a highly successful development program. We look forward to bringing out your dogs hunting potential. Our breeding goals are based on Temperament, sound physical conformation, and hunt proven parents. We have show champion and field champion pedigrees and will match you with the type of companion that suits your life and style of hunting. Started Labradors will be available for the Upcoming waterfowl season. If your in the market for a started hunting companion, inquire and we’ll keep you updated on there development. 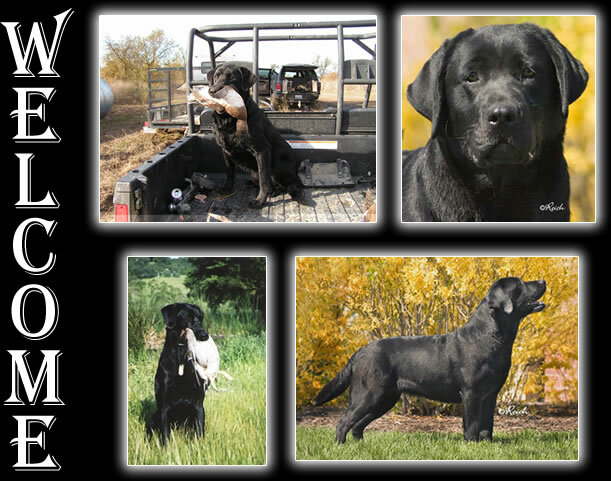 Started Labrador Retrievers, Finished Hunting Labrador Retrievers, Black, Chocolate, yellow, Show, field trial and Dual Purpose, Labrador Retrievers for sale. For more information and to keep informed, please sign up for updates!